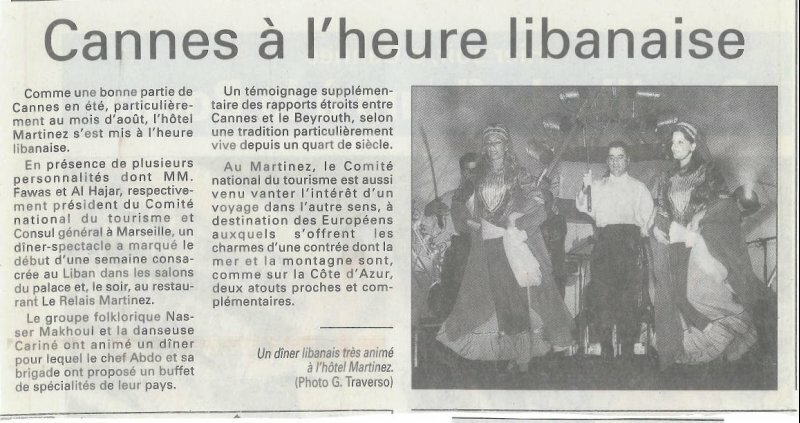 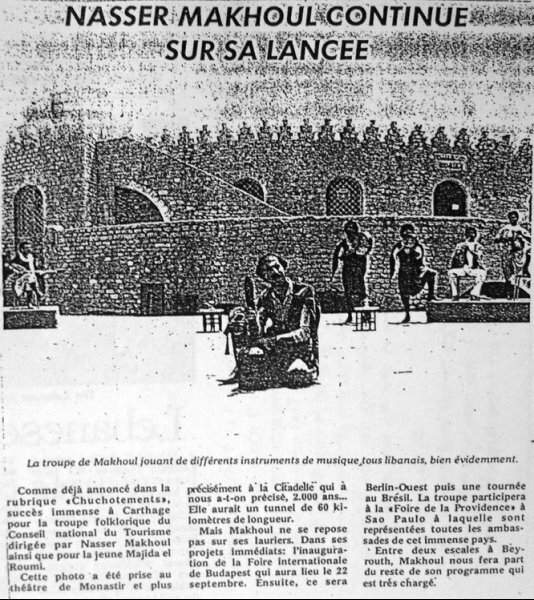 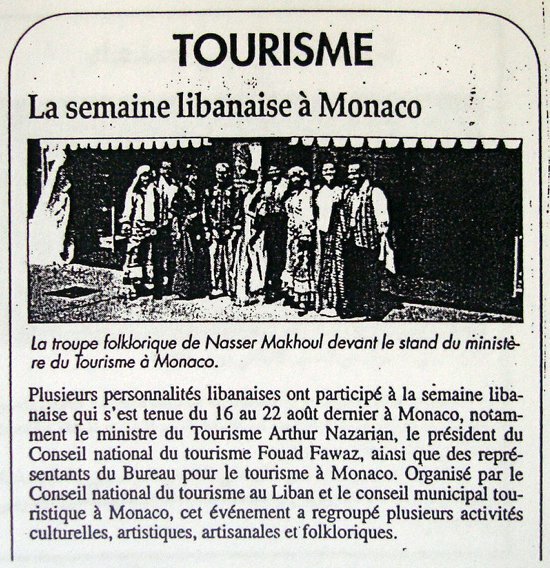 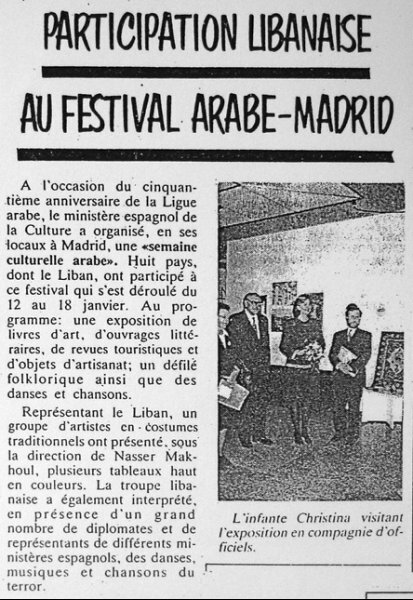 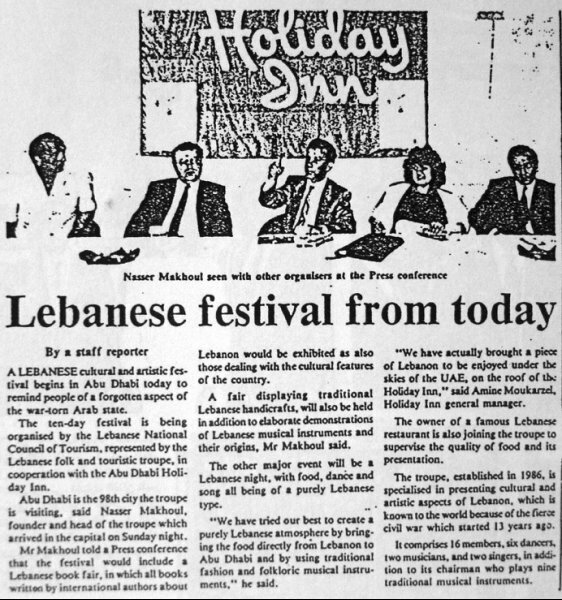 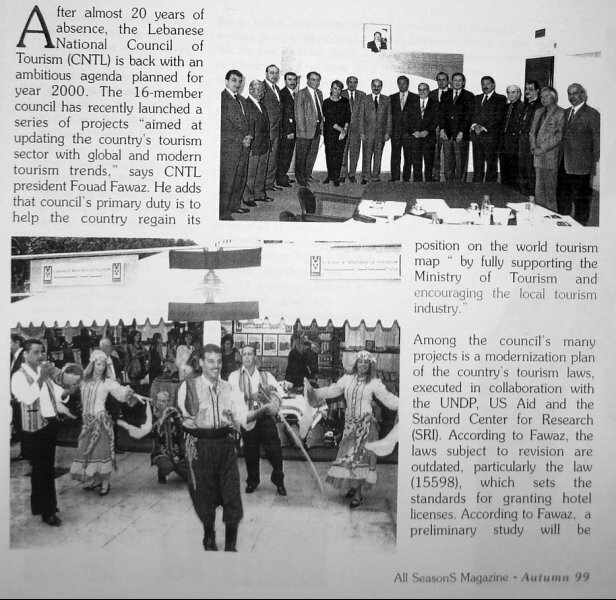 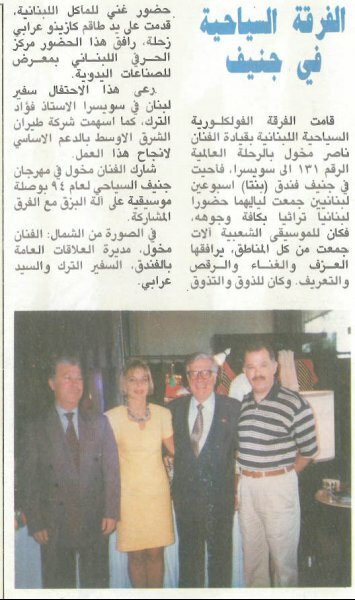 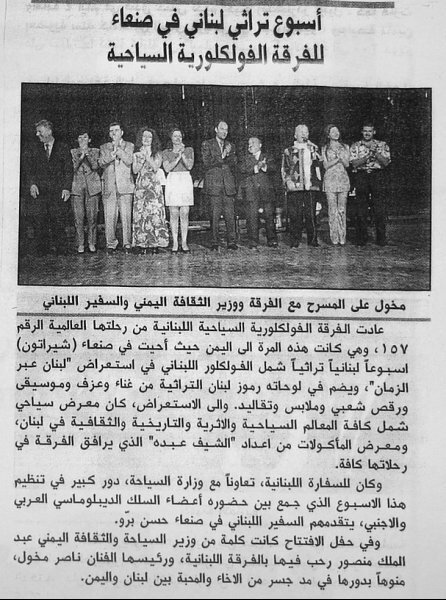 The Folkloric Touristic Lebanese Group was founded in 1968 with the support of the National Council of Tourism in Lebanon. 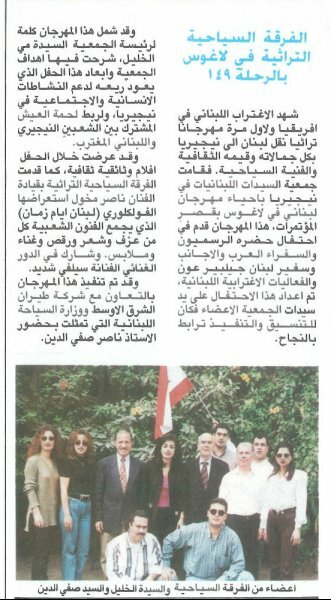 The group represents the Lebanese traditional and folkloric arts of Lebanon and has introduced the history and the civilization of the Lebanese people to all the societies in the world, through 181 trip. 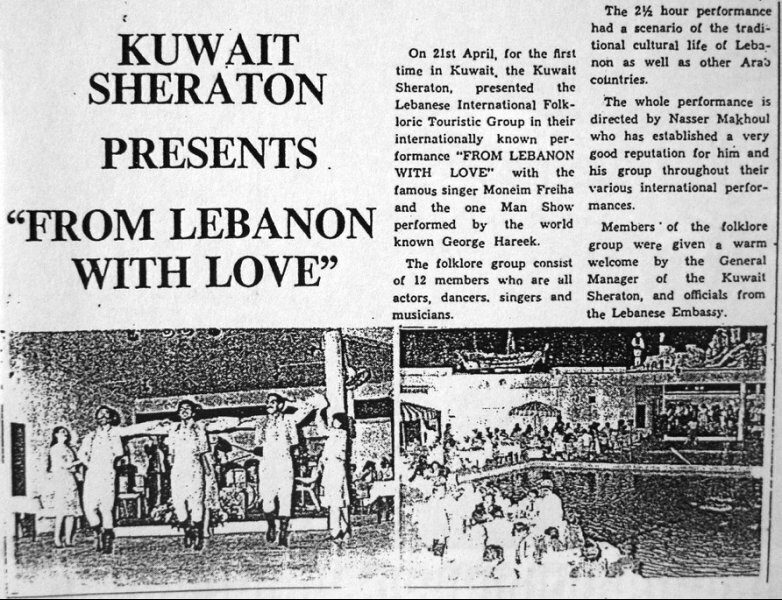 The group is consisting of eight members – the dancers, singers, and musicians. 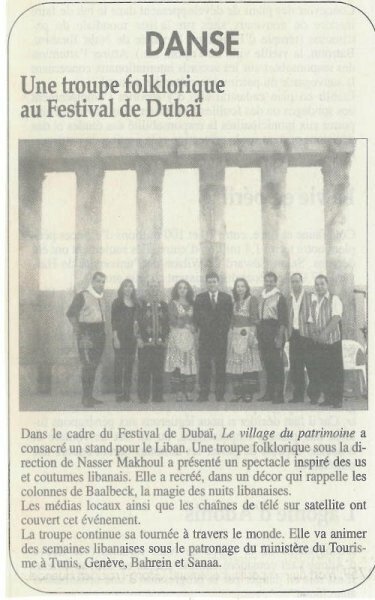 In its folkloric shows, the group presents live scenes which include artistic features and traditional handcrafts from all over Lebanon. 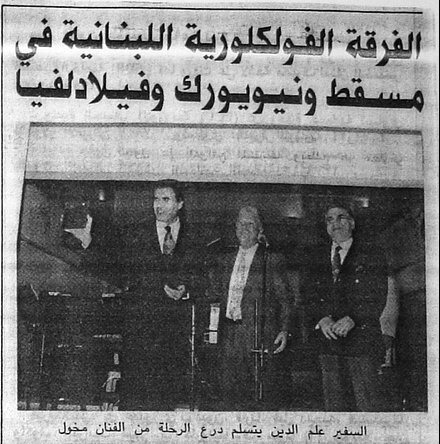 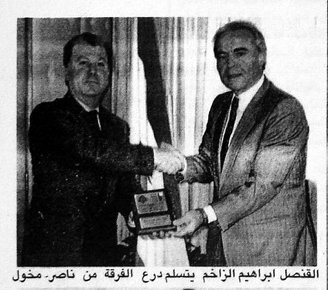 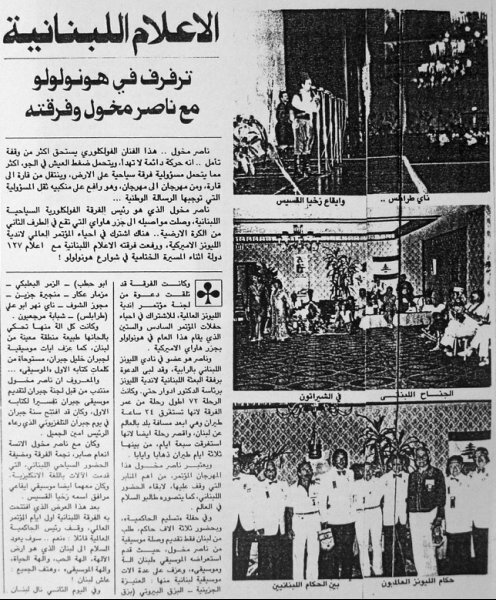 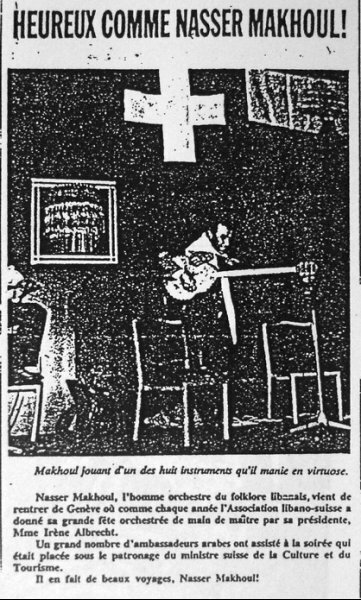 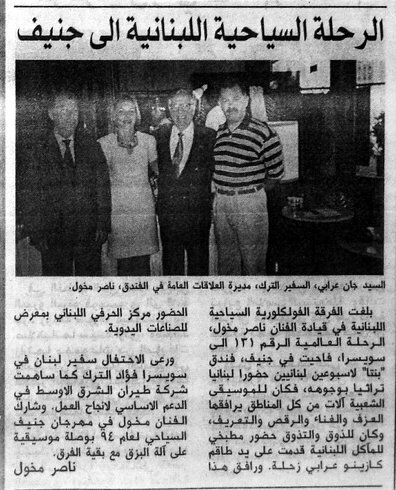 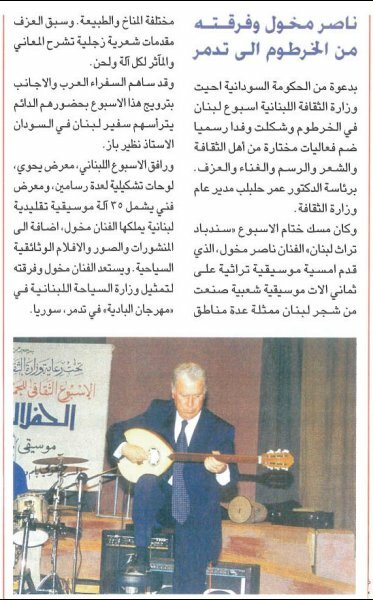 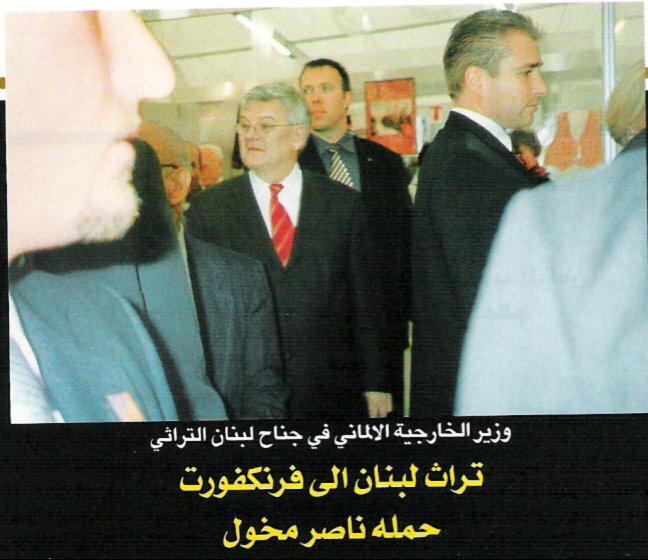 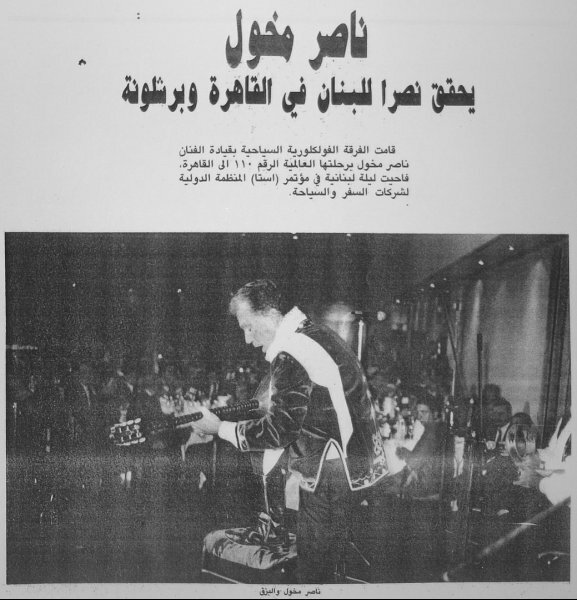 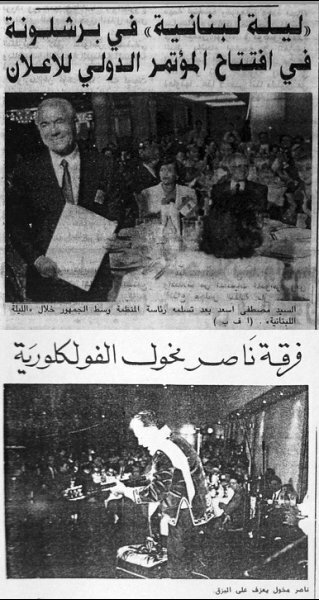 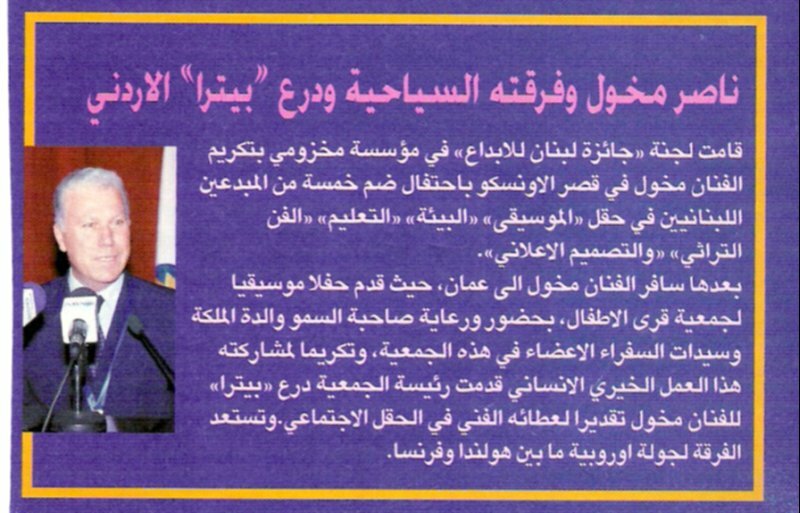 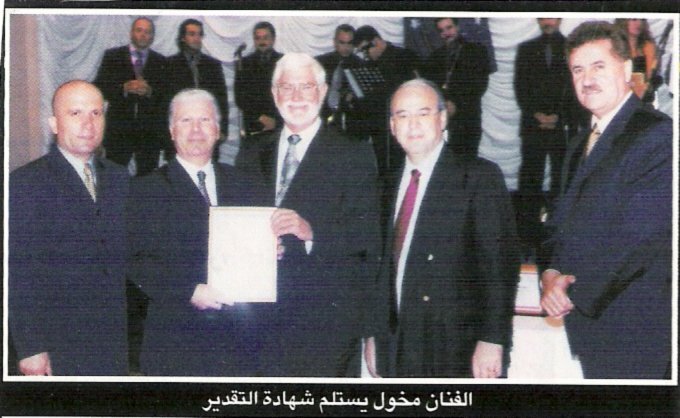 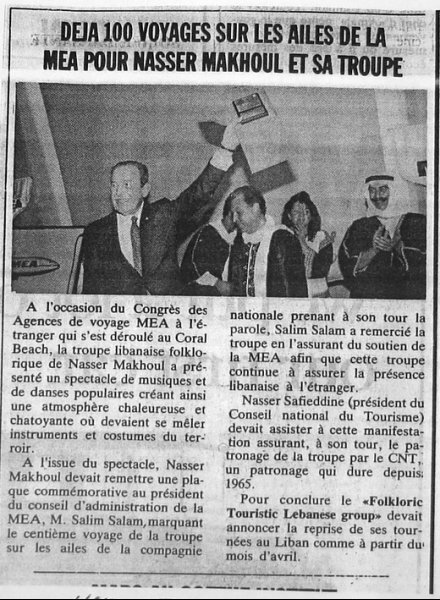 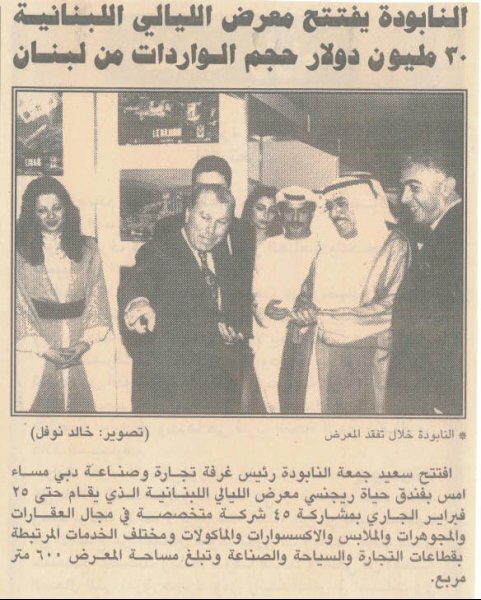 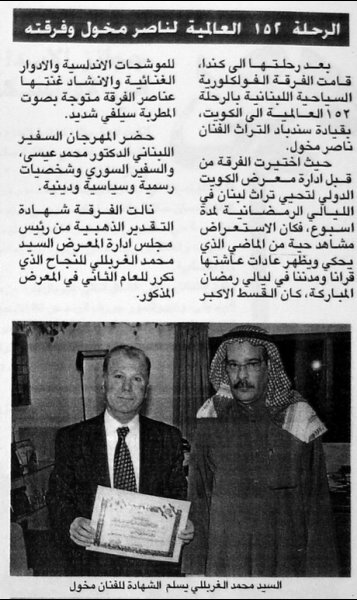 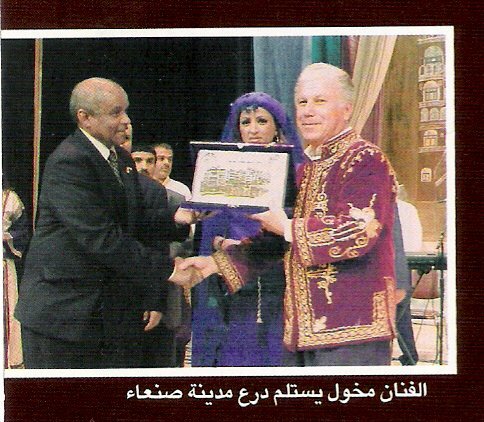 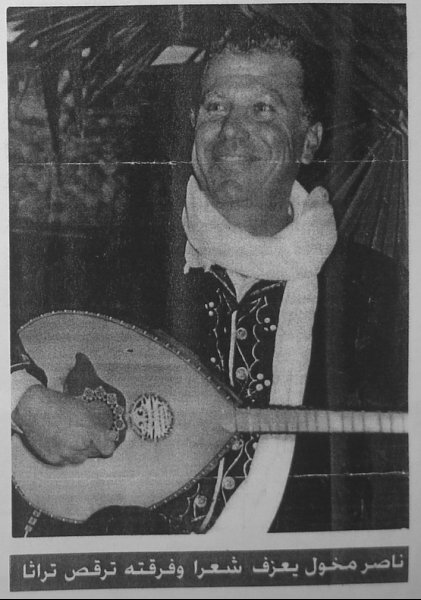 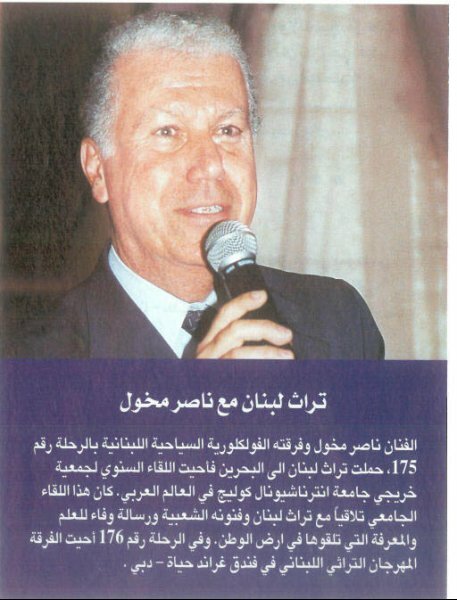 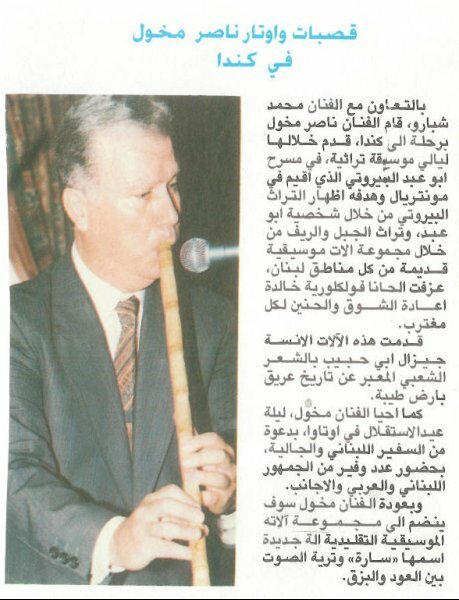 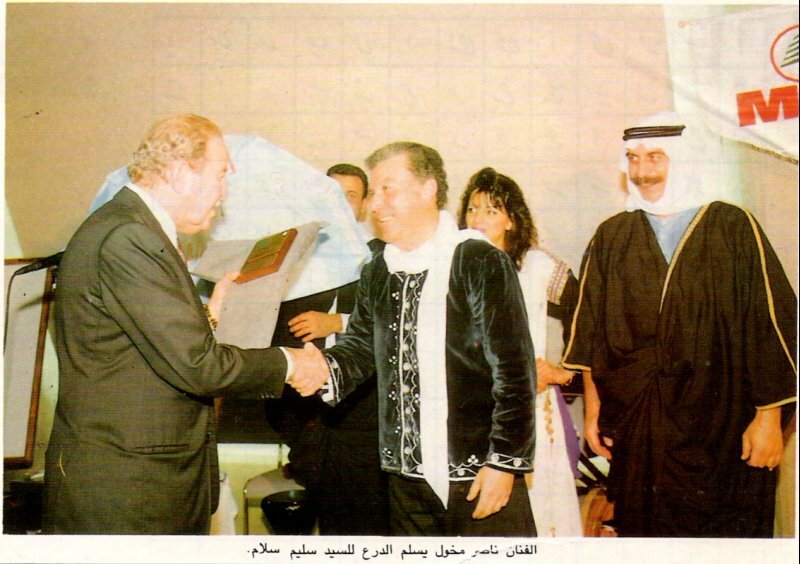 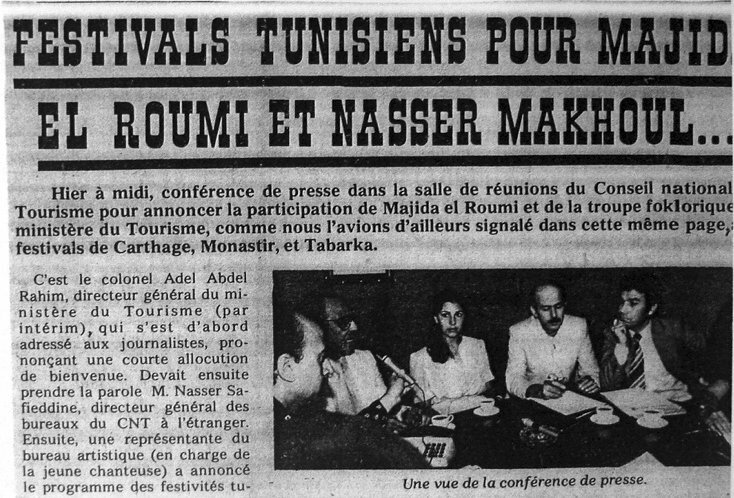 Nasser Makhoul and his group’s immeasurable talent and creativity were recognized all over the world. 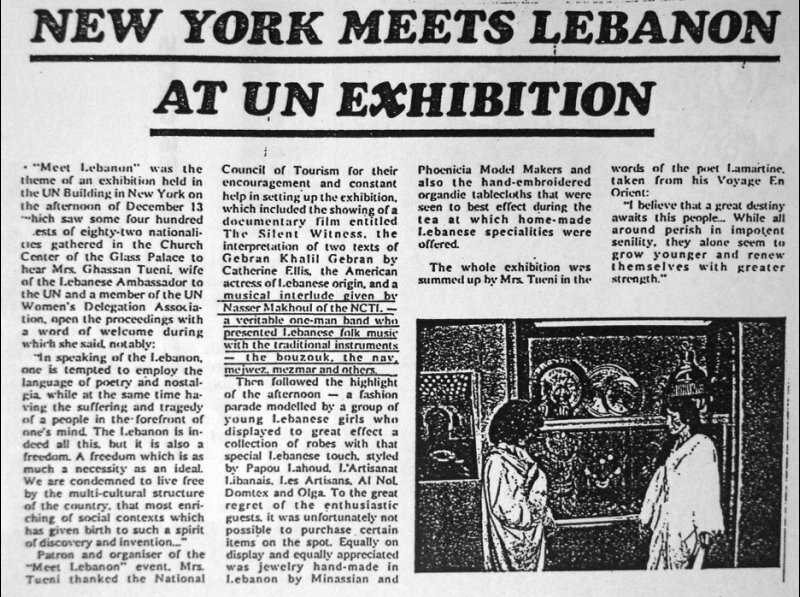 Some of the 286 articles from famous magazines and newspapers. 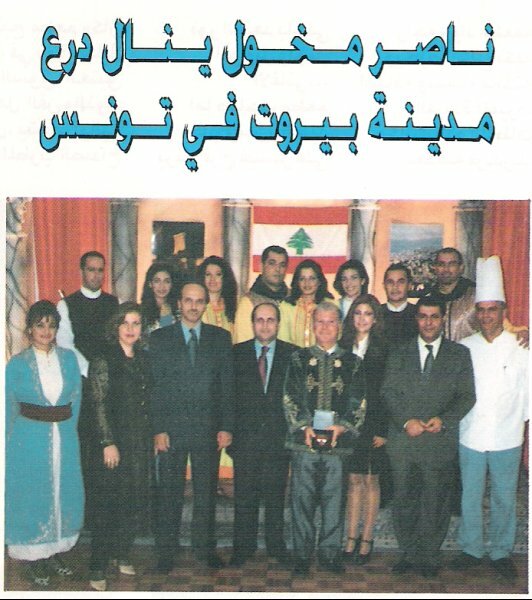 Folkloric costumes which represent a different Lebanese region according to its climate and nature. 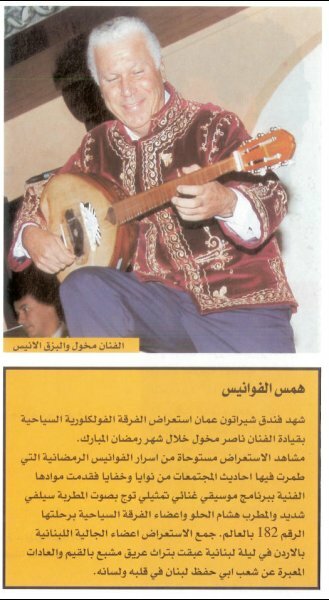 Introduction in every scene of Folkloric poems. 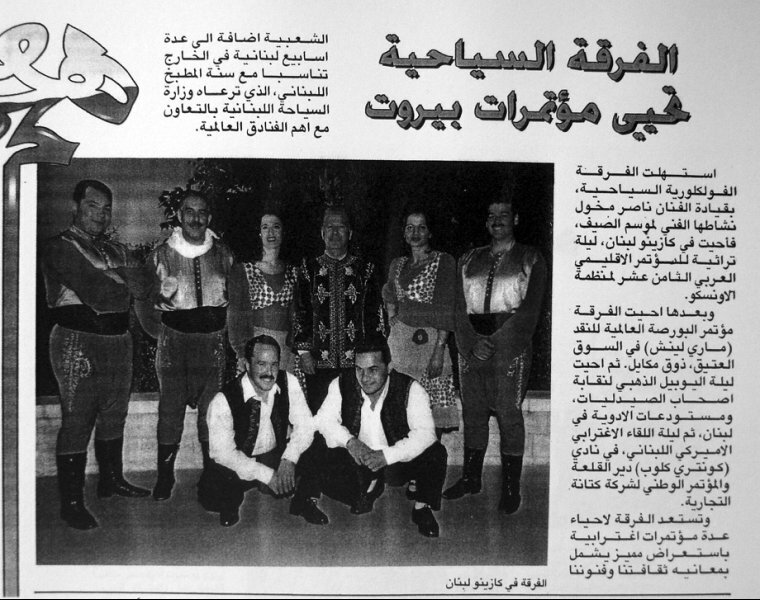 Folkloric dances featured in the scenes, accompanied by special musical instruments from every region.